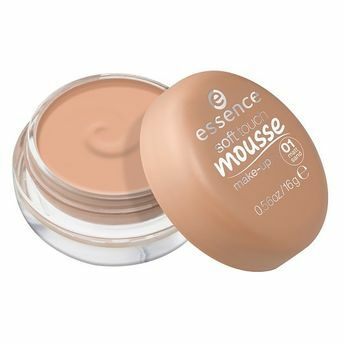 Get the ultimate soft skin with the Essence mousse make up. Its super delicate mousse texture gives you a natural-looking matt complexion. The lightweight formulation provides you with necessary coverage, while allowing your skin to breathe freely. Gives you a smooth, natural matt complexion. Lightweight formulation allows your skin to breathe. Additional Information : One of the leading cosmetics brand from Europe, Essence inspires you to express who you are with style, confidence and fun. You can try various fabulous looks with a huge range of breakthrough Essence beauty products which follow season's hottest colours and formulas and suit all skin types. All Essence products are made of highest quality standards, are super affordable and are not animal-tested. Explore the entire range of Foundation available on Nykaa. Shop more Essence products here.You can browse through the complete world of Essence Foundation .Alternatively, you can also find many more products from the Essence Mousse Make Up range.